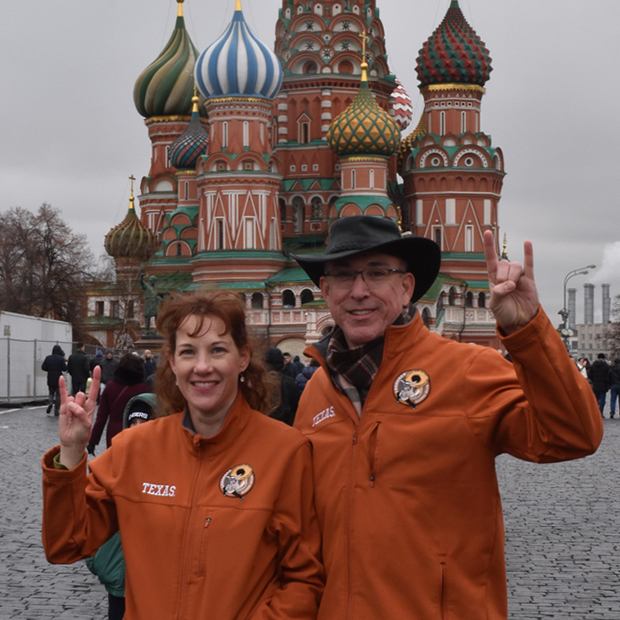 Rachel (Richardson) Johannes, BS ’99, Life Member, and her husband David Johannes show their Longhorn spirit outside St. Basil’s Cathedral in Red Square, Moscow. The couple was visiting friends in Moscow and celebrated a Texas-style Thanksgiving while far from home. For the photo, they donned their Longhorn Alumni Band jackets they wore when marching in the London New Year’s Day Parade in 2015.